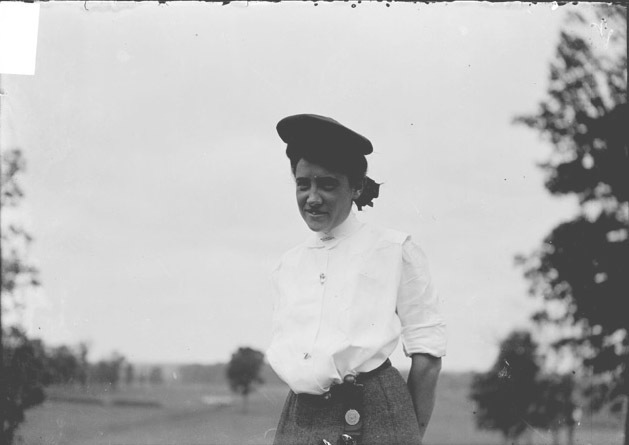 Title [Golfer, Bessie Anthony, standing on the course at Chicago Golf Club] [graphic]. Collection summary Half-length portrait of Bessie Anthony, golfer, of Glen View Golf Club, standing on the course at Chicago Golf Club in Wheaton, Illinois. Geographic coverage Wheaton (Ill.) 1900-1909.